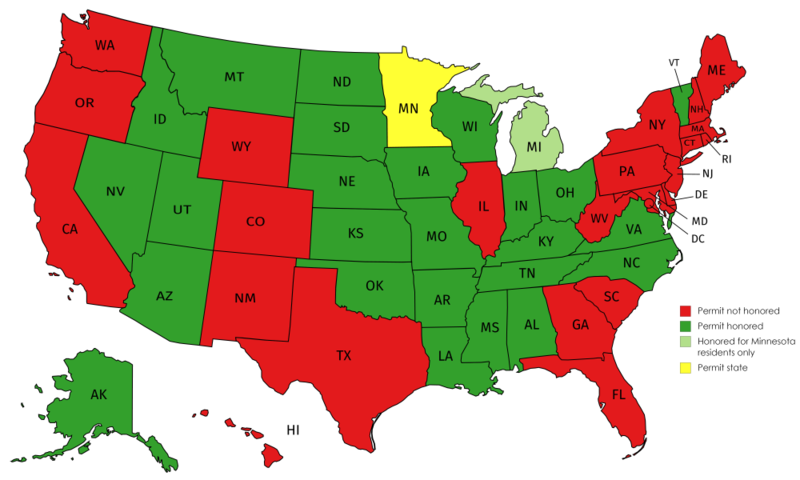 The Minnesota Permit to Carry is currently accepted in 30 states. Adding the Florida license brings the total to 36 states (see map below). This is an introductory level course in which students will learn handgun operation, shooting, and firearms safety with an emphasis on understanding the responsibility of legally carrying a concealed handgun. 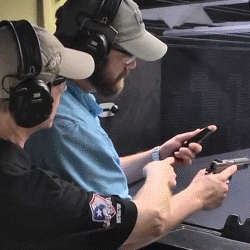 This pistol skills class will teach the student gun-handling skills and techniques. 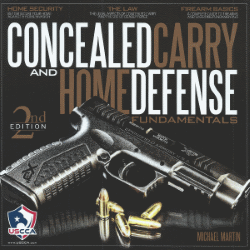 It will increase your ability and proficiency with a defensive handgun. This class is suitable for both beginning and advanced shooters. The Front Sight 4-Day Defensive Handgun Course will give you a complete understanding of the defensive handgun and a skill level that surpasses 95% of those who carry a gun for a living. The course is for both beginners and experienced shooters. Regardless of your experience prior to entering this course, upon completion, your gun handling, marksmanship, and tactical skills will be better than they have ever been. You will be able to safely and easily present your weapon from a concealed holster and fire two, sighted shots to the center of a target 5 yards away - all in less than 1.5 seconds. You will understand the principles of tactics and have multiple opportunities to use your acquired skills under the stress of simulated, lethal encounters. This course is a must for anyone who chooses to own or carry a handgun for self-defense. Minnesota Gun Class has bulk purchased course certificates that will allow you to take this outstanding training at Front Sight Firearms Training Institute in Nevada. Those who complete our concealed carry class will receive a course certificate at no charge. ©2019 Minnesota Gun Class. All Rights Reserved.